The Lincoln kitchen is ideal for creating group role play areas within your school or nursery. It is an all-in-one unit with oven, hob, Belfast sink with mixer tap and storage shelves. 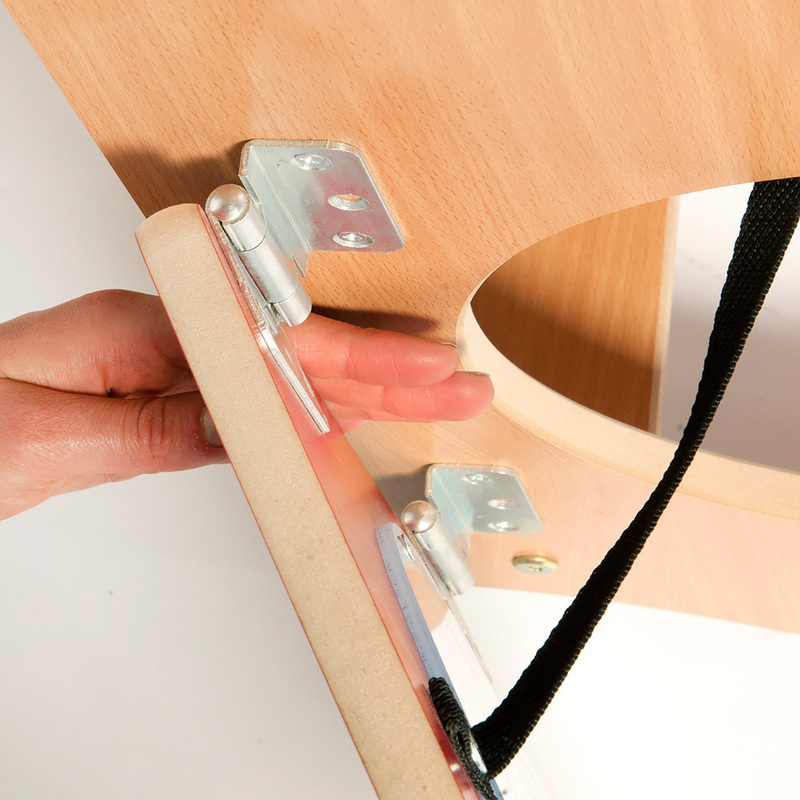 It is manufactured in the UK with durable, high quality beech and red melamine panels. The Lincoln role play kitchen features anti-finger trap hinges, plastic rotating dials and also a useful carry handle. The cooker door features a clear Perspex panel with printed details. 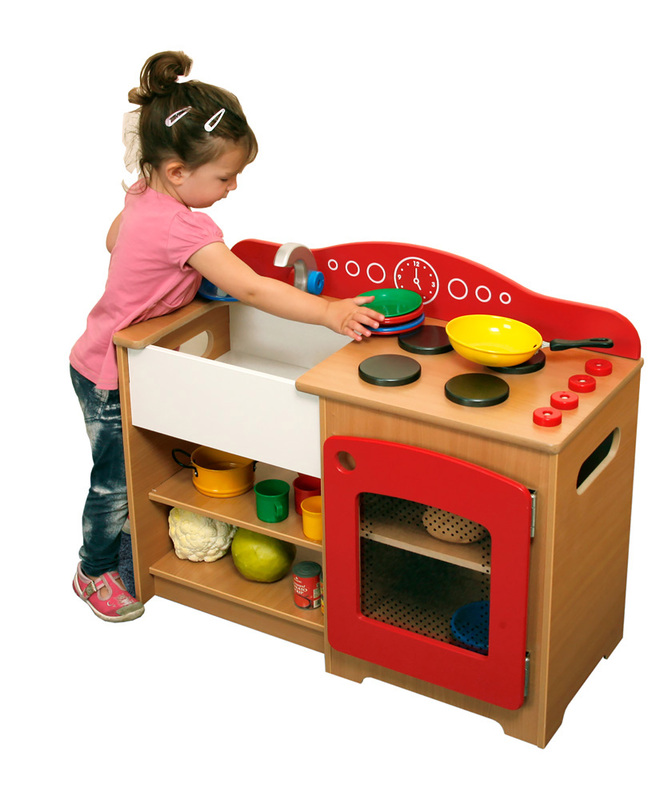 Please note: the toy pots and pans are not included with the Lincoln role play kitchen as featured in the images. For more information please Contact Us or call us on 01733 511121.